Cycling in Ireland involves pedalling through some of the most remote and rugged scenery that Europe has to offer. Prepare to be wowed by the Wild Atlantic Way coastal route which meanders it way north along the western fringes of counties of Clare, Galway and Mayo. 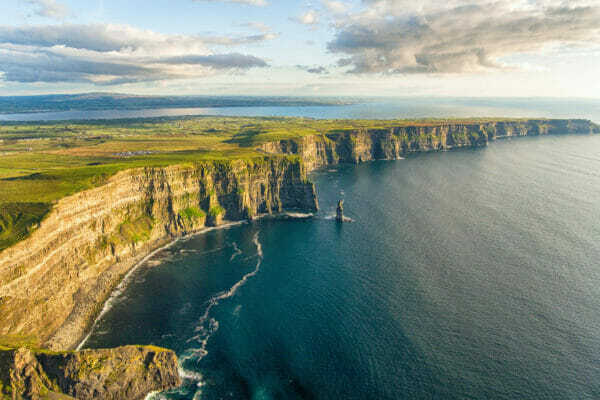 Ride through pretty fishing villages, thread your way along deep river valleys, marvel at the imposing Cliffs of Moher and the Aran Islands and experience a culture and a country renowned for its warm and welcoming hospitality. More than 1 million people visit the Cliffs of Moher each year, and it’s easy to see why. The cliffs are an area of outstanding natural beauty, spanning 14km along the Atlantic Ocean and reaching 8km above the ocean at their highest point. Located in the Burren region of County Clare the cliffs are as much a historical landmark as they are a geographical wonder, conservation hotspot and area of immense natural richness and importance. 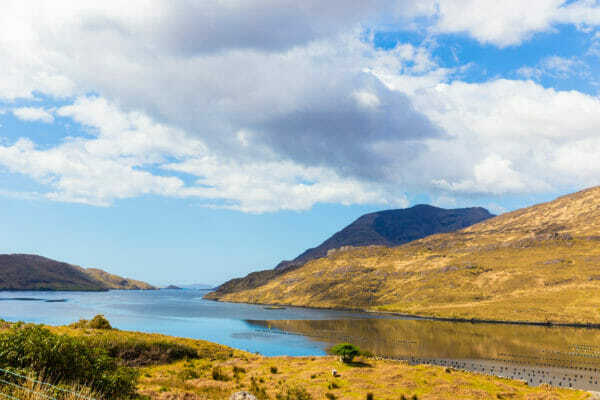 Extending 16km (10 miles) in from the Atlantic to its head at Aasleagh, below Aasleagh falls, Killary Harbour forms the border between Galway and Mayo and boasts some of the most spectacular scenery in the west of Ireland. The harbour is over 45m deep at its centre and is used for shellfish faming, the produce of which can be found at the local Westport market. 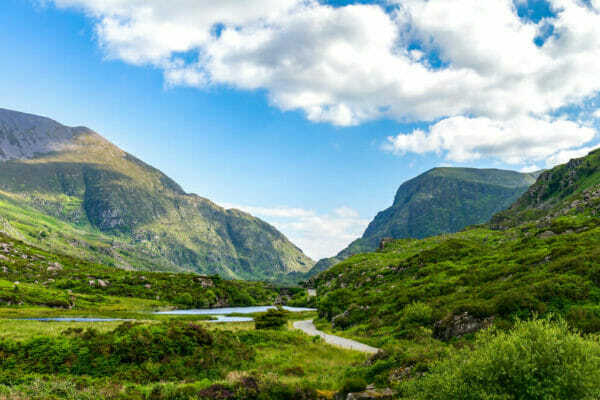 The Wild Atlantic Way traverses the entire West coast of Ireland spanning 2,500km in total and stretching from County Donegal’s Inishowen Peninsula in Ulster to Kinsale, County Cork, in Munster, on the Celtic Sea coast. The route crosses through six regions and on our Tour of Ireland’s West Coast we head North along the western fringes of counties of Clare, Galway and Mayo.